A new drug-delivery system based on an tiny implantable capsule could “revolutionize” the delivery of medicine to treat cancer and a host of other diseases and ailments, according to researchers at The University of Texas at San Antonio (UTSA).“The problem with most drug-delivery systems is that you have a specific minimum dosage of medicine that you need to take for it to be effective,” said Lyle Hood, assistant professor of mechanical engineering. 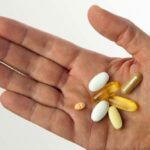 “There’s also a limit to how much of the drug can be present in your system so that it doesn’t make you sick.” So a person who needs frequent doses of a specific medicine is required to take a pill every day or visit a doctor for injections. KurzweilAI has covered a number of drug-delivery systems targeting cancer this year, based on “Nanoparticle cluster bombs,” “magnetically guided bacteria,” and “DNA-based lock-and-key pores,” for example. The capsule can deliver medicinal doses for several days or a few weeks, says Hood, and can be used for any kind of ailment that needs a localized delivery over several days or a few weeks. He believes this makes it especially tailored for treating cancer. The new capsule could provide a constant delivery of the HIV-battling drugs to prevent such an outcome. Hood noted it can also be used to deliver cortisone to damaged joints to avoid painful, frequent injections, and possibly even to pursue immunotherapy treatments for cancer patients. “The idea behind immunotherapy is to deliver a cocktail of immune drugs to call attention to the cancer in a person’s body, so the immune system will be inspired to get rid of the cancer itself,” he added. The current prototype of the device is permanent and injected under the skin, but the researchers are working on 3-D printing technology to make a new, fully biodegradable version of the device that could potentially be swallowed. Novel approaches to achieve local, intratumoral drug delivery have the dual benefit of reducing systemic toxicity while enhancing efficacy for malignant cells. We have developed a new implantable system combining a next-generation BioNEMS nanofluidic membrane with parallel nanochannels that offers controlled release of biomolecules. Based on concentration-driven diffusive transport, nanochannel membranes provide a “drug agnostic” delivery mechanism. 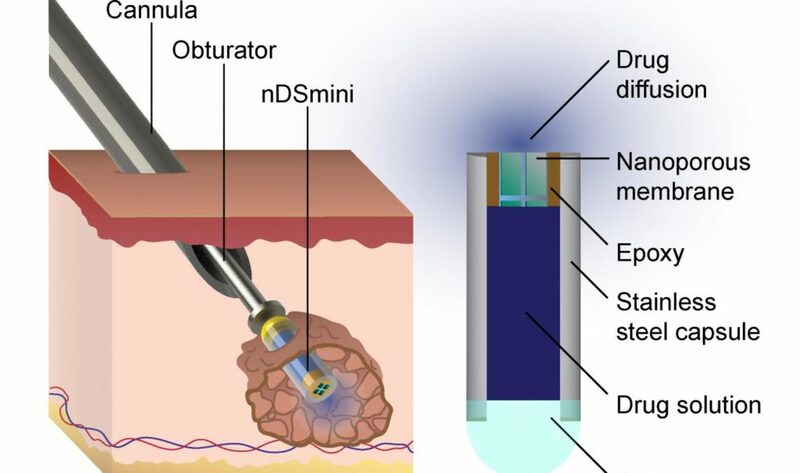 Integrating this nanotechnology within a small implantable capsule permits multipurpose functionality and compatibility with different therapeutic approaches as well as diagnostic imaging capability. A minimally-invasive, percutaneous trocar delivery mechanism enables serial implantation throughout a target tissue volume. In this manuscript, we demonstrate that this platform is capable of sustained delivery for chemotherapy, radiosensitization, immunomodulation, and imaging contrast, among others. This platform’s utility was established through release of doxorubicin, OX86, FGK45, and Magnevist. Further proof-of-concept experiments demonstrated successful in vivo implantation and intratumoral release of antibodies and contrast agents, as well as the platform’s MR-compatibility and capability as a radiopaque fiducial. These results provide strong evidence for a flexible, multifunctional nanofluidic implant capable of broadening local delivery utility in the clinic. Fast Allergy Relief without Pills?